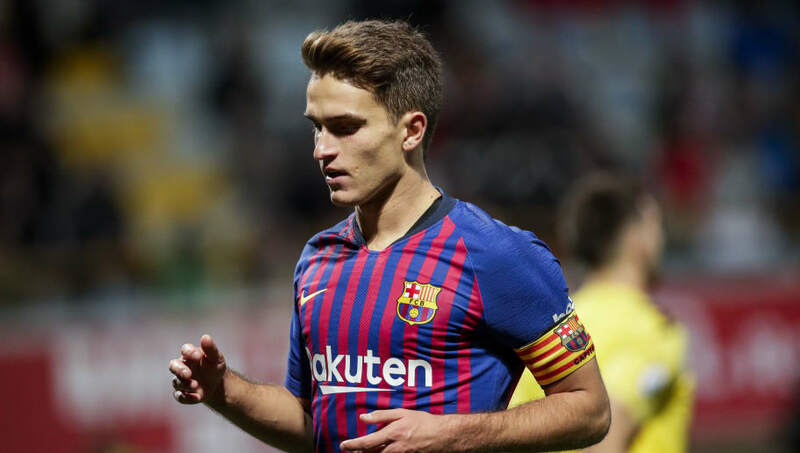 ​Chelsea are considering a January move for Barcelona midfielder Denis Suarez, who has slid to down the pecking order in Catalonia. Suarez has made only one appearance for Barcelona all season, with that coming in the Copa del Rey win over Cultural Leonesa on 31 October. ​Marca reports that Suarez could pursue a move away from ​Barcelona to get more minutes on the board, as his colleague Paco Alcacer did in the summer. Alcacer has been firing in the goals for Borussia Dortmund in the Bundesliga, and earned a recall to the Spain squad. ​Chelsea is named as one of three possible destinations for Suarez. Maurizio Sarri was known to be a fan of the Spaniard when he was at Napoli and tried to sign him on several occasions. ​Napoli's interest in Suarez did not die with the departure of their old manager and they are also named among the interested parties, with Valencia - coached by Suarez's former boss Marcelino - being the other. The writing appears to be on the wall for Suarez at Barcelona, with some of Ernesto Valverde's recent selections showing that he considers the 24-year-old surplus to requirements at the Nou Camp. He was not included in the squad that travelled to Inter in the Champions League last week, but Carles Alena - a Barcelona B prospect who had only played 8 games for the senior team - was. And when Barcelona found themselves struggling against Real Betis in La Liga on Sunday, it was Alena that Ernesto Valverde turned to, with Suarez remaining on the bench. Barça lost 4-3 to Betis, their first home defeat in the league for more than two years.